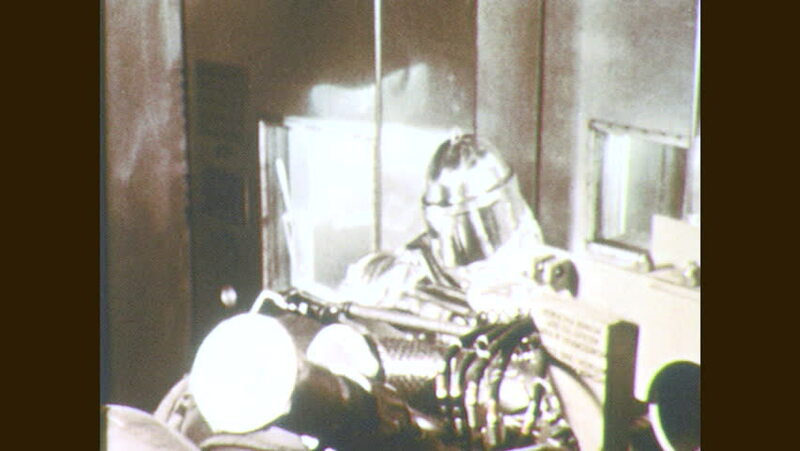 1960s: Man in protective suit works on rocket engine. Men observe x-ray film. Oscilloscope. hd00:211960s: Man weighs components. Men discuss rocket booster. Men observe rocket component. sd01:511920s: The gang's train takes off again after being sabotaged, but accidentally leave the passenger cars behind.